We're transiting in Baguio on our way back to Manila after a gruelling 6-hours on the road from Sagada, Mountain Province. 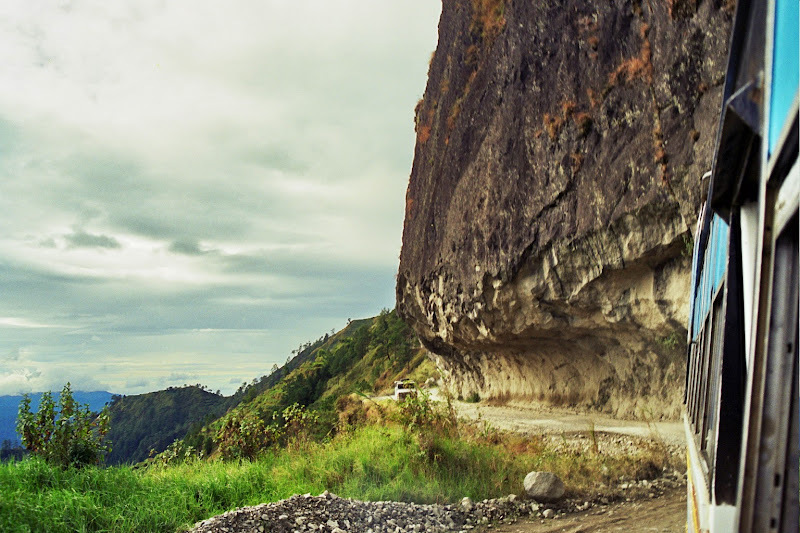 The "road" I'm referring to is what's officially known as the Halsema Mountain Highway. 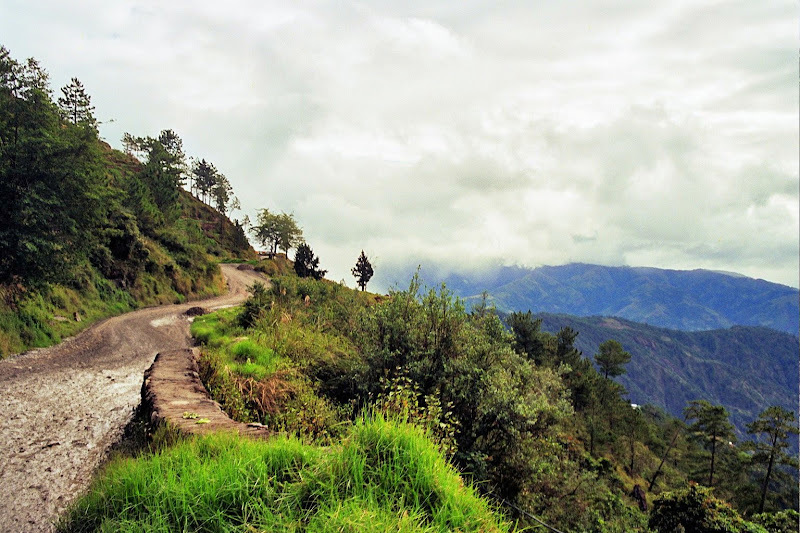 It's a very rough road but the breathtaking views of the Central Cordillera more than make up for it. This is the third time I'm passing through this mountainous road and I'm still awed at the skill of bus drivers who negotiate its hairpin-turns. With barely an arm's length to spare, precipitous drop-offs truly induce enough anxiety for those who have fear of heights. Just one look at the deep ravine and you know your dear life is at the mercy of the driver. 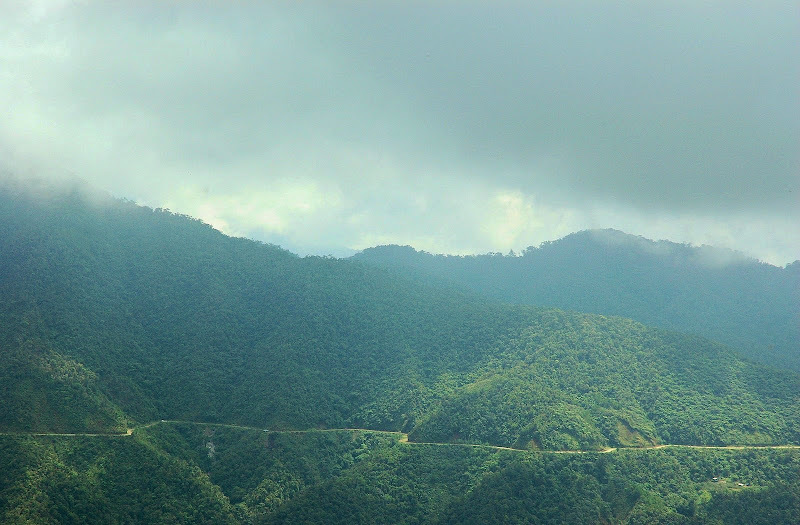 This highway was originally called the Mountain Trail, meant to connect Baguio and Bontoc. Its widening in the 1920s was supervised by the American civil engineer Eusebius Halsema, hence the name. Much of the highway remains unpaved today and gets very muddy, even unpassable, during the rainy months. The highest point in the Philippine Highway System can be found here at 2255 meters above sea level. We intended to catch the 9 a.m. Lizardo Trans bus from Sagada to Baguio. To our surprise, the bus left before 9 a.m. as it got full. We ended up waiting for the 10 a.m. bus which arrived already loaded with passengers from Besao, another town further up in the mountain. That left us with the 11 a.m. bus which gave my companions a choice of seats for sightseeing (left side if coming from Sagada, right side if coming from Baguio). I intended to sleep on this trip. However, the dusty, bumpy ride made it hopeless to even take a nap. My eyeshade was put to good use: it became my face mask. The road followed the winding course of the Chico river and provided us a glimpse of the many farming settlements dependent on the river. Just before reaching Abatan, the road was blocked by an effort to pull a truck that has crashed into someone's house. We got worried that this salvage mission would delay us further as we want to arrive in Baguio with daylight to spare. The recovery effort seem futile as the truck didn't even budge an inch. What was obviously needed was a crane, not just another truck desperately trying to tow it. As the stalled motorists now stretched down the road, the rescuers decided to postpone their efforts and allowed our bus to pass through. We got into Baguio, the economic epicenter of the Cordillera, and had early dinner at Jollibee. I know I wouldn't be able to eat at this King of Philippine Fastfood until I return, or unless I fly to California where it also thrives. 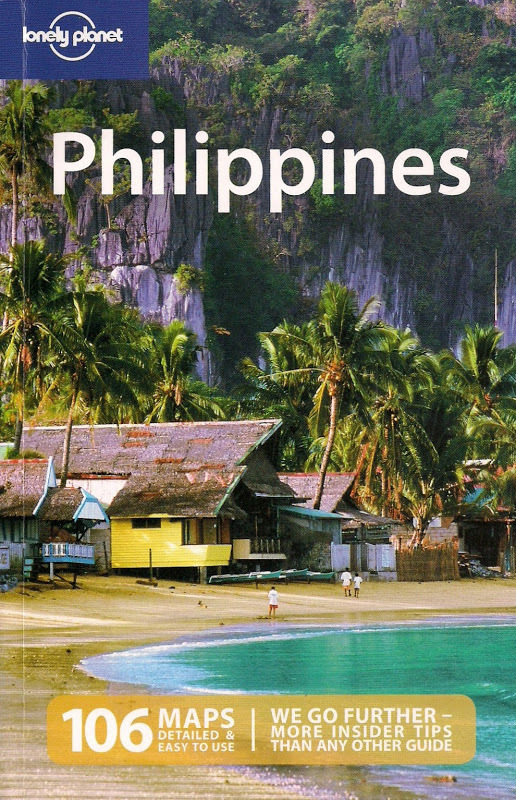 Jollibee is like a magnet to homesick Pinoys who long for something familiar to their tastebuds. Like the sweetness of a Jollibee spaghetti. I remember the time Jollibee opened a franchise in Jeddah, Saudi Arabia in the late 90's: Overseas Filipino Workers swarmed to it like hungry bees. In Hong Kong some years ago, I was lost (from hunger) deciding what to eat in a food court until I saw that very familiar sign. The last time I flew to San Franciso with friends, we asked our sundo to drive us to Jollibee and on our return, we asked again to drive by: we each had a take-out that we ate in our New York-bound plane! We had enough time to go to the Public Market after dinner. Harley, Harvard and Giselle bought their souvenirs. Harley gifted me with walis tambo or what's otherwise known as Baguio broom, a popular souvenir made from tiger grass. I know I could use this broom in my New York apartment but I was unsure how I could carry it without raising eyebrows among fellow passengers in the plane? Shall I say it's a Halloween gift?